Powerbox, one of Europe’s largest power supply companies, and for more than four decades a leading force in optimizing power solutions for demanding applications, announces the introduction of its ENR1000-PC series precharger unit designed to deliver peak power to high capacitive loads in railway applications. The precharger converts the battery nominal bus voltage of 50VDC up to 137.5VDC to a regulated output voltage of 400VDC or 600VDC to charge high voltage capacitor banks used to switch electric valves actuators such as for unlocking and lifting pantographs. The ENR1000-PC series delivers a peak power of 1000W, is able to charge a load of 5 to 35mF in two seconds and automatically switches to standby mode when charging is completed. The ENR1000-PC series is part of PRBX’s Enhanced Rail Power Solutions (PRBX-ERPS). 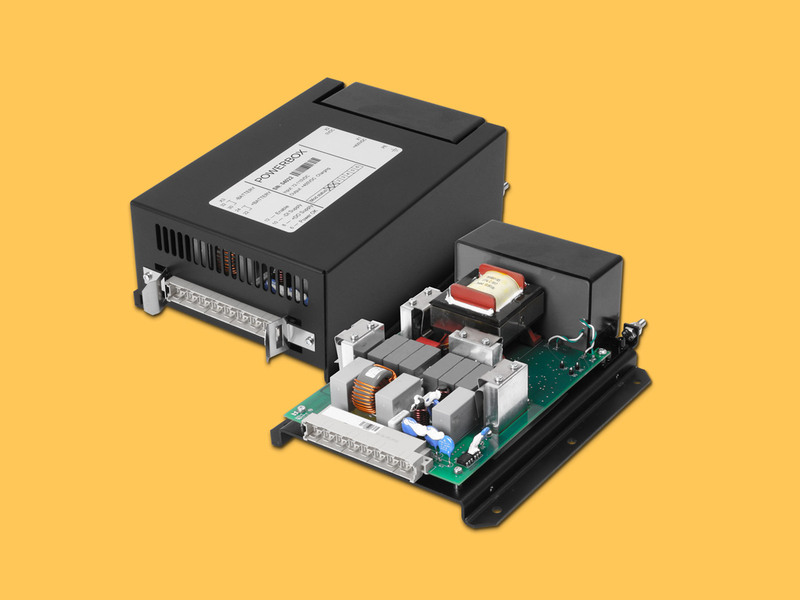 The ENR1000D110/400-PC is delivering 400VDC is able to charge a capacitance load of 5 to 35mF. The unit sustains a maximum voltage of 137.5VDC, a 154VDC transient voltage and an external output reverse voltage of a maximum up to 5.8kVDC. The ENR1000D110/600-PC is delivering 600VDC to 10 to 12mF capacitive loads. The unit sustains a maximum voltage and transient of 130VDC and an external output reverse voltage of a maximum up to 2.5kVDC. The ENR1000-PC series includes overvoltage, overload, short-circuit and thermal protection. Designed for indoor and outdoor applications, the ENR1000-PC series can be operated within a wide range of temperature from -40 to +70 degrees C, EN50155 temperature class TX and up to +85 degrees C in storage conditions. The precharger unit is designed according to EN50155, EN50124-1 and IEC61287-1. Its secondary to ground, and primary to secondary insulation resistance is up to 8.5kVDC, and its primary to ground is 1.5kVDC for one minute. Clearance and creepage distances are designed in accordance with IEC664, and the overvoltage achieves category II with a pollution degree II rating. The ENR1000-PC series belongs to material group IIIa , CTI 175-400. Built for demanding railway applications and EMC environments, the ENR1000-PC series is designed in accordance to EN50155 EN50121-3-2 and EN50121-5, ESD to IEC61000-4-2 and IEC62236-3-2, fast transient immunity to IEC61000-4-4 and IEC62236-3-2, surge to EN61000-4-5 and IEC62236-3-2. The precharger is built in a metal case of 229 x 184 x 86mm. Input connection is via a standard H15 connector, and the output a threaded shafts or high isolated cables on request. The unit weighs a maximum of 2.5 kg. The product will be presented at Innotrans 2018 in Berlin, 18 – 21 September 2018. Meet us in Hall 17, Booth 103. Established in Japan 1969, Cosel is one of the world’s leading designers and manufacturers of high performance AC-DC Power Supplies, DC-DC Converters and EMI Filters. With quality, reliability & flexibility as our main focus, we pride ourselves on developing some of the highest quality and most reliable products seen anywhere in the world today. Cosel is a $230m global company employing some 670 staff with sales offices throughout Japan, Asia, Europe and North America.